I was hoping it would support other cv standards, although it would of been crazy not to. I am def getting this, wish they had a link mode so you could link them and run 16 in parallel. usb and battery power , sturdy build, very nice korg. they did. 1/2/5 volts per octave and hz per volt. What more do you need? You could, but yes that would be a total pita. This looks pretty dang sweet. Hope it's priced like it looks. That's the range of the CV accessible by the knob, not a type of V/o standard (eg for using the sequencer as a modulation source), Also the standard scaling is 1v per octave and 1.2 volts per octave, not 1, 2 and 5. I'm sure the majority of users that use quantization will want to use their own Quantizer, with their own definable scales, rather than a generic 'major' and 'minor' setting. The V/hz makes sense for users who are limited to an MS20 though, and it would have been a shame not to include it. Wish it had a CV input for transposition, but all in all i think it look like a great little sequencer, reminiscent of the old Cyclodon. 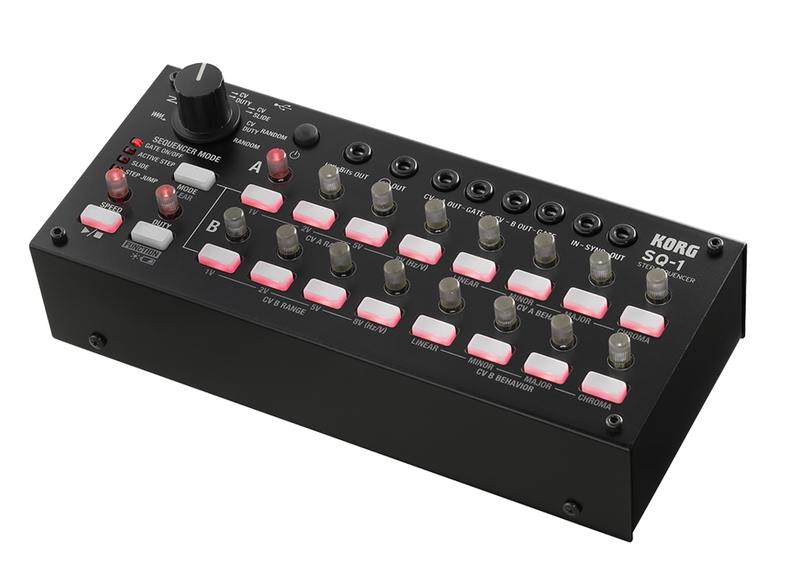 If the next iteration of Monotrons have CV inputs I think Korg would be onto a winner. I'm so stinkin' intrigued by that LittleBits jack. If it comes with a3.5mm>bit snap connector I'll be beside myself. And surprised . With the imminent release of the LittleBits CV/gate modules, I can't really imagine why they'd need a dedicated 3.5mm jack. I love Korg, and I adore the LittleBits synth stuff. I thought the second generation of Monotrons was the Volcas? Finally a not overpriced stepper. At least I can continue my love/hate relationship with steppers. I don't know any other piece of gear that is as boring/exciting as a step sequencer. If you set it to linear mode then it is unquantized, so as long as you don't need quantization then it will work with any CV standard. The littlebits out does not come with a bitsnap connector, and it seems to put out very low voltages, so maybe there will be a special bit coming out to support the SQ1. But yeah great little sequencer, knobs are a bit hard to see, so might put some lines on mine or some knobs. would be nice to replace the knobs in a way that lets them still light up.. any ideas? ..knobs are a bit hard to see, so might put some lines on mine or some knobs. Keep meaning to do that on my volcas etc. - very easy with a resistor leg offcut and some enamel paint - would make it much easier, but somehow I still haven't..
do the davies fit on these pots? At only $99, how the heck could I say no? Too darn cheap not to grab. Gotta wait until Control Voltage gets them in stock though... Hurry up, Korg! Could this sequencer control a synth that only has MIDI in then?